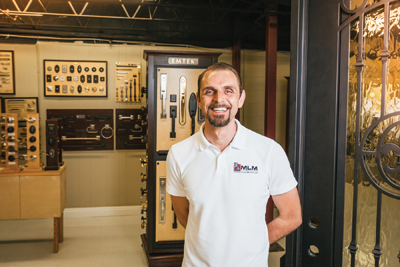 Machi Medrzycki, director of sales and marketing for MLM Incorporated, a company that offers historic, residential and commercial renovation projects throughout the New Orleans area, believes when he moved to New Orleans, the people he met and the construction projects he worked on made him who he is today. When he was a young child he wanted to be a policeman, fireman or businessman, but never thought about being a contractor. Eventually he began listening to a gut feeling. He believes the main strengths he brings to his job are his management skills, his ability to see the big picture and negotiating. When asked what he would do if he ruled the world, he answered thoughtfully.